We had some heady times in my early days as a blogger! The afrosphere was buzzing with online activism that reached its heights with the Jena Six protest march. One of the leading Black bloggers of that era was a young brother named Shawn Williams. As such, this blog is pleased to inform all villagers that social media and hyper-local news pioneer Shawn Williams released his first book, Blogging While Black, which chronicles the pivotal role his blog played during the historic 2008 presidential election of Barack Obama, as well as during the brief but effective online civil rights movement. 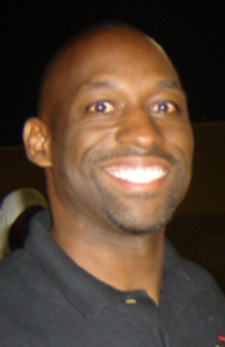 Williams is publisher of DallasSouthBlog.org, a frequent columnist for the Dallas Morning News and formerly contributed to WFAA Channel 8’s Inside Texas Politics. Beginning with the plight of a teenager in Paris,Texas, and ending with the election of President Barack Obama, Blogging While Black tells the story of how Williams, and other online advocates, changed America for the better. The book also looks at “breakthrough bloggers” who have transferred their online stardom into offline success. Blogging While Black is a tool created for aspiring writers, bloggers and journalists who want to make inroads through the media and make a difference in the community as well. At the end of each chapter, Blogging While Black provides tips for anyone who aspires to use social media tools to make their own mark online, including: how to launch a blog in five minutes; how to become a big fish in a small media pond; how to leverage your personal networks; and how to use your phone as a news gathering tool. This would make a great gift for any bloggers in your sphere of influence!